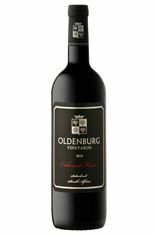 Located in the Banghoek Valley eight kilometres from Stellenbosch, Oldenburg Winery was established in its current format in 2003 by Adrian Vanderspuy, who grew up in the Cape but had spent most of his life abroad, building a career in financial services. Adrian set out to make premium wines, capitalising on the favourable location of the vines, which, at 300-450 metres above sea-level, benefit from a cooler climate than vineyards lower down, and yet are sufficiently high to benefit from more sunlight than those which lie in the shadow of the mountains. After totally replanting the vineyard, Adrian’s maiden vintage was 2007. His goal is to make high-quality, limited production wines from French varietals, primarily Cabernet and Syrah. The Rhodium is Oldenburg’s prestige cuvée and their wonderful 2012 vintage is a blend of 53 percent Merlot, 40 percent Cabernet Franc and 7 percent Malbec. Yields are kept extremely low to maximise concentration of fruit, and crop-thinning takes place to further ensure that only perfect grapes make it to the winery. Once there, they are hand-sorted, cooled and then crushed. After fermentation the wines are aged in French barriques prior to bottling. In 2013, Philip Costandius, who has been consulting at Oldenburg since 2009, was persuaded to become the Managing Director and Winemaker for the estate. 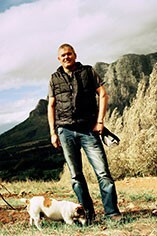 Philip has been Chairman of the Cape Winemakers Guild and is a highly respected figure in the industry. He firmly believes that “Oldenburg has magnificent terroir”; this will be an exciting estate to watch over the next few years.